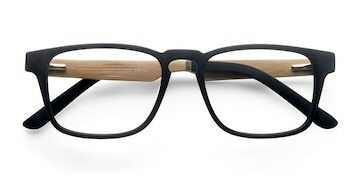 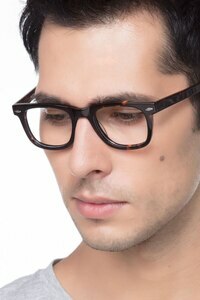 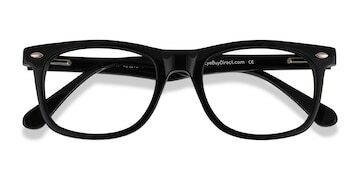 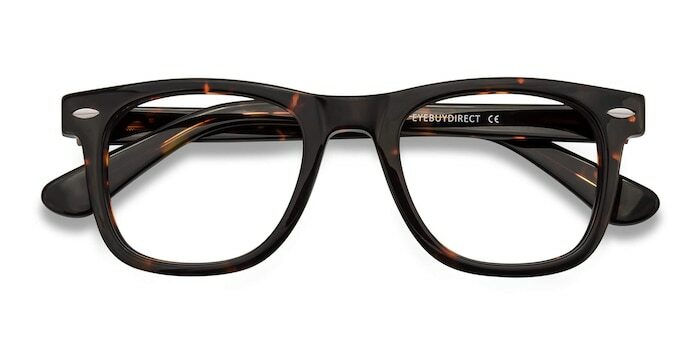 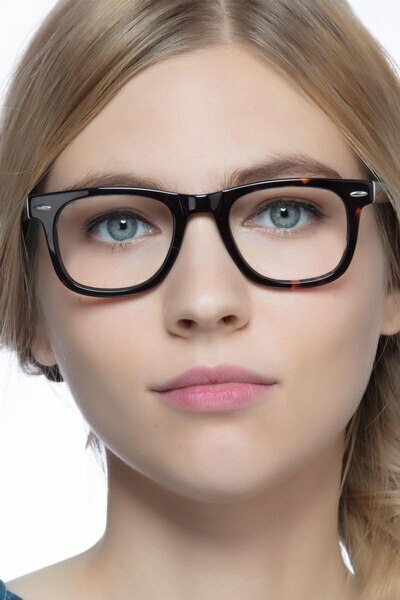 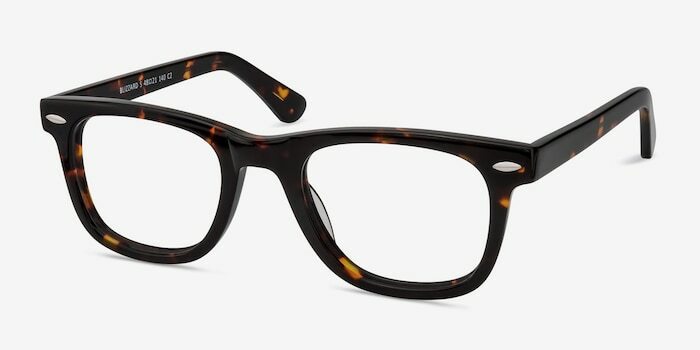 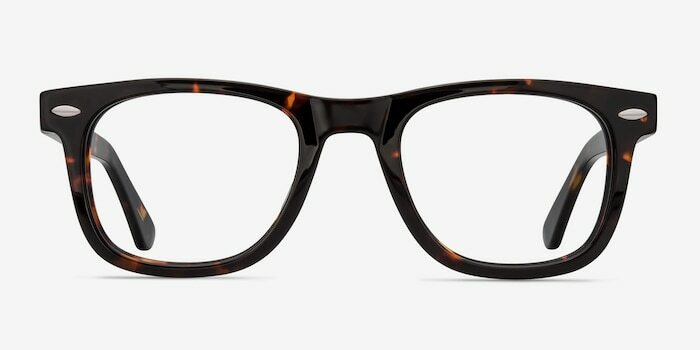 For a classic yet trendy look, these tortoise eyeglasses are it. 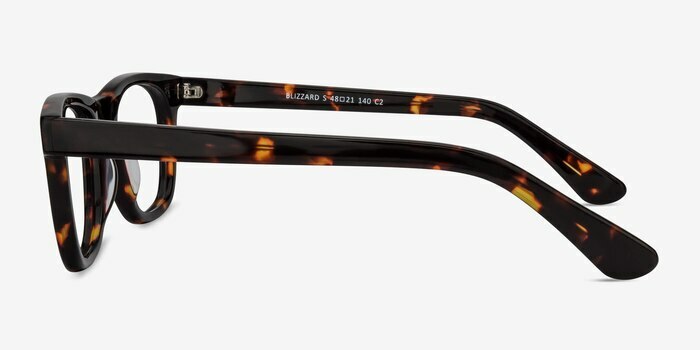 This bold wayfarer style features a glossy black and yellow tortoiseshell pattern. 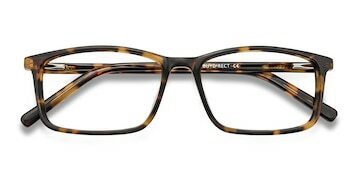 Single stud accents in the frame corners add subtle detail to create a look that is suitable for both men and women.